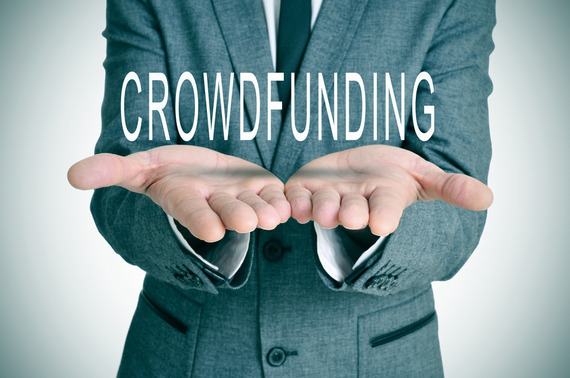 Crowdfunding is a popular way to raise money for entrepreneurial, social and charitable projects. Folks use crowdfunding to launch new sneaker designs and to fund schools in developing countries; this online crowd-supported tool can be useful, but nearly half of all campaigns fail. Avoid the pitfalls of crowdfunding mistakes and launch a successful campaign by utilizing these strategies. You want to get this right the first time so review your options and select the site that best supports your needs. These sites make it look easy to launch your campaign. Create a page and upload a video, then sit back and watch the funds pour in. The truth is most campaigns that follow this model fail because the developers were not prepared. Research your idea. Is it unique? Does it offer something special or different that consumers will want? Spend time now to save time later. Research your target audience. Which social media channels do they use? Which SEO tactics are most successful? It is key to effective social media communications. Establish your presence. You will need a website, social media accounts and a blog to generate initial interest and confirm your research that there is a desire for your product or service. Start a Crowd Speaking Campaign. Test your campaign design and generate buzz by promoting the concept of social media. You will quickly know if your idea is a bust, needs tweaking or is ready to take to the next level. Plan your perks. Investors will want something for their donations, and you need to have a structure of levels and perks to entice them. Build Your Audience. The more interest you generate before you start your campaign, the greater its chance of success. you can use to manage organizational and communication tasks to support your campaign. Basecamp is a project management tool that allows you to create projects, add and assign tasks and upload documents. Its calendar feature supports team scheduling and coordination. It's a great tool for managing the various task needed for your crowdfunding campaign. Use Buffer to create social media content that is delivered on a schedule that you set. Send messages, links, and photos out on various social networks (Twitter, LinkedIn, Facebook, G+) at specific times without spending all day at the computer. This program also offers great analytics. InkyBee lets you create media lists, track your campaign outreach, find bloggers and more. Use it to capitalize on free or inexpensive marketing resources. Find ways to keep people engaged and remember, they may be interested in your product/service, but they are buying into you, so give them a good story. Your backers chose to support you so keep them happy with ongoing communication. Let them know when you are sending out their perks or why that might happen later than scheduled. Share your triumphs and tragedies. They care about you so keep them engaged throughout the process and let them know they are appreciated. Remember, when the product or service is ready to roll, you can convert this group from supporters to purchasers, creating a built-in demand. Crowdfunding requires commitment, first from you and then from your backers. Maximize the likelihood of success by creating and implementing a plan that focuses on your goals, engages your audience and encourages ongoing support.